In celebration of Independence Day, The New York Public Library will display a rare historic copy of the Declaration of Independence – written in Thomas Jefferson’s hand – from June 29 to July 3. The free public display will be held in the Library’s Gottesman Gallery on the first floor of the iconic Stephen A. Schwarzman Building on Fifth Avenue and 42nd Street. Hours for the display will be 10 a.m. to 5 p.m. Thursday, June 29 through Monday, July 3. The Declaration of Independence was completed on July 1, but before it was ratified on July 4, several changes were made to the text, including the removal of Jefferson’s lengthy condemnation of the slave trade, an excision intended to appease delegates from Georgia and South Carolina. In the days after July 4, a distressed Jefferson wrote out several fair copies of his original text and sent them to five or six friends. The Library’s copy is one of the two copies that have survived intact. The Library acquired this document in 1896, when John S. Kennedy – a trustee of The New York Public Library – donated them along with other items he purchased from Dr. Thomas Addis Emmet, a noted surgeon and collector of Americana. The document is now held in the Library’s renowned Manuscripts and Archives Division. Some facts about the Library’s manuscript copy of the Declaration of Independence include: The document is a handwritten copy by Thomas Jefferson, the primary author of the Declaration. In the Library’s copy, Jefferson has underlined the words and passages that were excised from the final text. It has been suggested, although never proved, that the Library’s copy is the one Jefferson sent to his former law professor and mentor, George Wythe. Saturday, June 24 brought the 300th anniversary of the day four Masonic lodges in London revealed themselves to the public and organized themselves into the Grand Lodge of England. The following was written for the New York Times’ Op-Ed page, but was not published, so I offer it to American Creation’s readers. 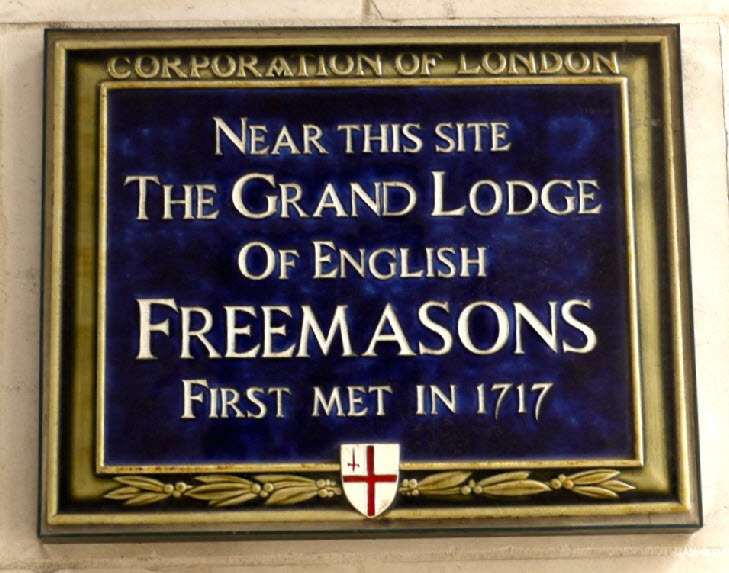 On June 24, 1717, four lodges of Freemasons that met in various taverns in London united in revelry for the purpose of forming a “grand lodge,” thus revealing their existence to a curious public and initiating a movement that would spread a benevolent culture around the globe. The facts of the actual founding of the Masonic fraternity are lost to time, but it was on that date when the modern Freemasonry the world knows today was hatched. The fraternity that thrived with, and derived much of its identity from, the Enlightenment would see its members become heads of state, military greats, geniuses of science and industry, legends of the arts, influential spiritual thinkers, and prominent in so many more walks of public life, all united by a philosophy that helped birth and develop the modern world. In its early decades, there were many competing theories of Freemasonry’s origins. There were plenty who insisted Freemasonry descended from the Greek god Hermes, inventor of letters and sciences. Others taught the beginnings are found in the rites of the Dionysians, or the Pythagoreans, or the Essenes, or the Roman Collegia, or the Druids, or the Gnostics, or the Rosicrucians, or other societies. The most popular, but equally unfounded, opinion says the Knights Templar of the Crusades is Freemasonry’s ancestor. The likely truth lacks glamour and romance: the Free and Accepted Masons of these past 300 years are an evolution from the stone workers and architects of the Middle Ages who constructed the mighty fortresses, castles, and cathedrals of the British Isles and Europe, having mastered and kept inviolate the secrets of geometry, the almost godly techniques of Western architecture, particularly in the Gothic style. The transition from hardy workers in stone to enlightened thinkers came of necessity. The Protestant Reformation brought the end of cathedral building while simultaneous changes in how wealth was produced lessened the reliance on countryside castles, and the advent of explosives proved new vulnerabilities to stone forts. But the divine secrets of Euclidean geometry guarded by those workers in stone could not be disregarded as useless old knowledge. Scottish Masonic lodge meeting minutes from the final years of the 1590s show how membership was extended to influential men unconnected to the building arts. Such records are scant, but one diary jotting in 1646 by Elias Ashmole notes his initiation into Freemasonry in Lancashire. Ashmole was no stonecutter. He held an assortment of government positions before and after the English Civil War; had married into money and position several times; and was a known student of alchemy, astrology, and magic. His bequest to Oxford University is known to us today as the Ashmolean Museum. Whatever Freemasonry did in Scotland and England to the early 18th century is not understood in detail. Even from the years immediately after 1717 the details remain opaque. The first official history of the fraternity was published within the pages of the Grand Lodge of England’s Constitutions of 1723, but it is a history typical of its time, relying on myth, legend, Biblical personalities, and audacity. Authored by a Presbyterian minister named James Anderson and dedicated to the Duke of Montagu, the “History of Masonry or Geometry and Architecture” confers Masonic membership upon Israelite patriarchs, early English kings, and many other unsuspecting figures. However illustrious or plain the history of Freemasonry is, it actually is the philosophy of the fraternity that enabled it to travel the entire world and endure the centuries. It is true that having divine and royal patronage adds luster and allure, but those conditions also serve to restrict membership to the elites of society, which is the problem that withered first Grand Lodge of England of 1717 until it collapsed less then a century later. The philosophy of Freemasonry however can inspire those of all stations and places. There are various ways to phrase it, but citing the Golden Rule suffices as well as any other means. Perhaps its most known rendering is “Do unto others as you would have them do unto you,” which comes from Matthew 7:12 where Jesus borrows from Jewish law, but it is a concept found in all the major religions. Was it necessary for Freemasons to mimic established religion when there already were so many sects one might support? That answer also is quite simple: Freemasonry itself is not and never has been a religion. Rather, it offers an ecumenical space where people of many faiths may enjoy fellowship together. Starting in 1717, Freemasonry provided a non-sectarian place where not only Catholics and Protestants could meet in friendship, but also a venue where those of the various Protestant denominations could coexist in brotherhood. It was a time preceded by Civil War (1642-51), Restoration (1660), Glorious Revolution (1688), English-Scottish Union (1707), Jacobite rebellion (1715), and wild change in royal families until the stability of British monarchs was solidified in 1714. Somebody had to do something. This shows that what we today know as diversity dwelled inside the hearts and minds of decent people 300 years ago. During the 1720s, the first initiation of a Jew into a London Masonic lodge was recorded—it would be well more than a century before Jews in England would receive anything resembling what we today consider civil rights. As the British Empire reached around the world, Freemasonry accompanied it. 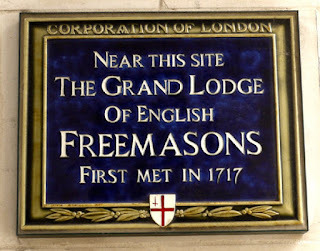 A second and separate grand lodge emerged in 1751 whose lodges offered their fraternal embrace to people of more modest backgrounds: Soldiers, sailors, merchants, craftsmen, and others without noble relations were welcomed into Freemasonry, and as they traveled the world, they established lodges everywhere possible. In the 19th century, Muslims, Hindus, Parsees, and others would be initiated into the fraternity. The result was a dynamic cosmopolitan world we take for granted today. From London, Freemasonry spread fairly rapidly to Europe and the New World. Freemasonry existed in the British Isles before 1717, and grand lodges would be established in Ireland before 1730, and in Scotland in 1736. Lodges appeared in Dunkirk, Hamburg, The Hague, and elsewhere on the Continent by the early 1730s. In the early and mid 18th century, lodges would be founded in New York City, Boston, Philadelphia, Savannah, Portsmouth, Newport, Annapolis, New Haven, and at various points across Delaware and Virginia. Where lodges settled, the Masonic philosophy took root. The old builders in stone are not forgotten, as the working tools they wielded were converted for symbolic use for moral and civil instruction. The gavel, the stonemason’s hammer, is employed to teach divestment from the vices and superfluities of life, and is used in practicality to bring order to meetings; the plumb teaches moral rectitude; and the level inculcates equality, to name only three. The functions of the Masonic lodge taught early Americans about democracy, as lodge officers are elected by secret ballot, and fraternity jurisprudence likewise is decided by member vote. This was a time when only landowners voted in civic elections, but in lodge, one need not have been so well to do. The image of three classical pillars in Masonic teaching aids have been interpreted to symbolize the three equal branches of American governance from the local to the state and federal levels. While it is untrue that “all” American Founding Fathers were Freemasons, it is true that nine of the 56 signers of the Declaration of Independence are known to have been Masons, and 13 of the 39 signers of the Constitution are known to have been members. George Washington, Benjamin Franklin, John Hancock, and many others were prominent Freemasons; Thomas Jefferson, James Madison, Alexander Hamilton and far more were not Masons. In 2017, there are approximately 40,000 members of the Grand Lodge of Free and Accepted Masons of the State of New York (est. 1781), and on this very day there are hundreds assembled at Utica to celebrate the past, present, and future of their fraternity. Jay Hochberg, a freelance writer and editor, is a member of Publicity Masonic Lodge No. 1000 in New York City. 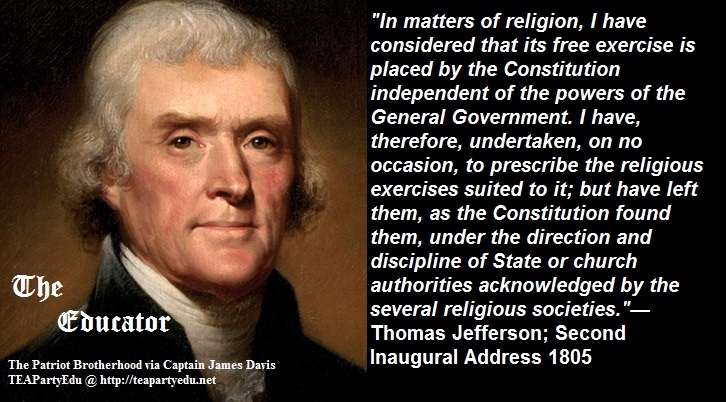 Jefferson's position was simple: Religion was left to the states. Public Discourse: "The Closing of the American Mind Thirty Years Later: A Symposium"
Peter Lawler, one of America’s most insightful critics of popular culture, will treat Part One: Students, which includes some of Bloom’s most controversial arguments on subjects like rock music, the sexual revolution, feminism, and divorce. Michael Platt, author of an influential review of Closing and important essays on both Shakespeare and Nietzsche, will discuss Part Two: Nihilism, American Style. Paul Rahe will analyze Part Three: The University. Rahe, a distinguished intellectual historian, was a student of Bloom’s at Cornell University during the campus protests that Bloom narrates in this section. Those same protests caused Bloom to leave Cornell for the University of Toronto and Rahe to transfer to Yale University. Finally, Jon Fennell, accomplished philosopher of education, the driving force behind the establishment of the Classical Education program at Hillsdale College, and author of another early essay on Bloom and education, will write a summary and critique of the symposium. This was the last piece Peter Lawler wrote before he died. Allan Bloom, contra Lawler, did not think that America had an accidentally Thomistic Founding. Rather after Leo Strauss, Bloom thought America's Founding was Lockean (modern). And there was an accidental or esoteric influence that undergirded Locke; but it was a different Thomas. Hobbes not Aquinas. Like a great book, The Closing of the American Mind sparks intense disagreements. Is Bloom’s description of the principles of the American Founding accurate? Does he caricature the flat souls of his students? Do philosophical ideas really have the power he attributes to them? Is his genealogy of ideas accurate? How does he understand the relationship between philosophy and morality? What does nature teach about the moral life? Can the restoration of a Great Books education in the university really be the remedy for the crisis of the West? Thomas Kidd, distinguished professor of history and associate director of the Institute for Studies of Religion at Baylor University, has published a major new biography, Benjamin Franklin: The Religious Life of a Founding Father (Yale University Press, 2017). 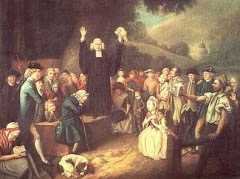 I sat down with my co-blogger for TGC’s Evangelical History blog and picked his brain on Franklin, his evangelical sister, the type of Christian Deist he was, and whether there was a deathbed conversion. Below the video you’ll find a timestamp map to our half-hour conversation. Claiming that they don't just worship the same God as Muslims but that both "Adore" the same God. I was going to say they both claimed that Christians and Muslims worship and adore the same God, but that might be taken to mean that both Washington and Jefferson were "Christians," which we know, after examining the evidence and arguments for over the decade, is quite contentious. So our American Creation co-blogger Pastor Tubbs claims the notion that Christians and Muslims don't worship the same God is "basic Christian doctrine." As I told him in the comments, I respect his position and think it's an entirely defensible argument for a traditional Christian believer to make. However, I do question just how "basic" this position is to "Christian doctrine." There are plenty of traditionally minded small o orthodox Christians who believe Jews, Christians and Muslims worship the same God, just as there are plenty who support Pastor Tubbs' position. America's key Founders -- the first four Presidents, Ben Franklin and a few others -- however, were firmly in the camp of believing Jews, Christians and Muslims did in fact worship the same God. Others too, unconverted Native Americans, pagan Greco-Romans and Hindus worshipped the same God as Christians. This has been used as an argument AGAINST the "Christian America" thesis. The theory of "natural religion" which America's key Founders endorsed held that men of all religions worshipped the same God whose existence could be detected from reason alone. And they strained to find monotheistic God worship in the what we might term polytheistic religions. Traditional Hinduism, Zeus worship was still "worshipping the same one true God" as Christians worship, but with those others, getting the details a bit wrong. How is that possible? For one, the lines between and among monotheism, polytheism and henotheism aren't so easy to draw. The Bible doesn't speak of "One God" who is clearly distinct from everything else, but rather of a divine family with (arguably) One Chief. A Sky Father. Or Yoo Pater (Jupiter). If there are, as the orthodox Trinitarians understand, a divine Three who are equally in charge, such has vexed much of the non-orthodox (and those trying to be orthodox) Christian world since the beginning. Worshipping a divine Three, to the Jew, Muslim and unitarian Christian raises the specter of polytheism. After doing much meticulous research, I do not believe George Washington was an orthodox Trinitarian Christian. I do believe he was a theist who believed in an active personal God. And GW greatly supported the institution of "religion" generally (and "Christianity" as a particular of that genus). Still, I understand, the smoking guns proving that Washington was in the personal religious belief camp of Franklin, Jefferson, and J. Adams aren't there. Washington didn't bitterly reject orthodox Trinitarian doctrine like Jefferson and Adams did or give us as much extant heterodoxy as Franklin. In all of the over 20,000 pages of Washington's recognized public and private utterances, Jesus Christ is spoken of only one time by name and one other time by example, both in public addresses written by other people (aids and subordinates) but given under Washington's imprimatur (meaning he edited and otherwise approved of the addresses with his signature). In one of them, GW mentions the "divine author of our blessed religion," which obviously refers to Jesus. That's the closest to a smoking gun that GW was an orthodox Trinitarian Christian. I would argue that such is consistent with Arianism, Socinianism, Mormonism, and many other things that are not orthodox Trinitarian Christianity. But still, I would concede that statement strongly resonates with orthodox Christianity. So if we concede that a public address written by someone who is not George Washington, but rather for him, and that was, after GW's tweaking given under the imprimatur of his signature accounts for at the very least a "joint authoring," let us look at one GW did with Thomas Jefferson. The letter was written on March 31, 1791. It was addressed to Yazid ibn-Muhammed, the new Emperor of Morocco, whose father had just passed and Washington sent his condolences as he introduced Thomas Barclay as the new American consul. Friend of the blog Mark David Hall of George Fox University weighs in. What annoys me most When Historians Attack is when they exceed the limits of their expertise. In this case, Harvard's Dr. Joyce Chaplin, a history instructor, presumed to lecture Harvard Law grad Sen. Ted Cruz--who as Texas Solicitor General argued [and won] in front of the Supreme Court--on the law. I began looking at the American Founding in studying the theory of "rights," which has a grounding in St. Thomas Aquinas and classical natural law theory. However, it soon became apparent that little of the Founding rhetoric made clear sense without an understanding of its Protestant [anti-Catholic] milieu, particularly Reformed theology, commonly called "Calvinism." 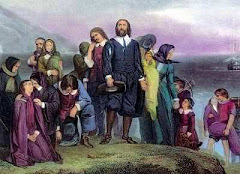 Even the quasi-Catholic Anglican church was influenced by Reformed theology, not to mention the sects explicitly so, such as Pilgrims, Puritans, Presbyterians, Congregationalists, and Baptists. 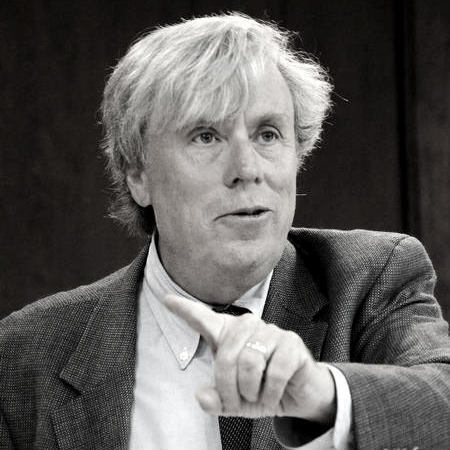 Thus I became a big fan of Peter Lawler's "They Built Better Than They Knew" thesis about the American Founding, that they ended up with an "accidental Thomism" anyway, i.e., classical Aristotle/Aquinas natural law. One in an occasional series. Right-wing "pseudo-historians" such as the uncredentialed David Barton are easy pickins for the academic left, but when one of their own hijacks history for their own partisan politics, such guardians of historical accuracy are more easily cowed, if not fooled themselves. Twitter has a remarkable power to make well-credentialed people look like fools. Case in point: Joyce Chaplin, who is the James Duncan Phillips Professor of Early American History at Harvard University. Chaplin is not just wrong, but embarrassingly wrong. A 17-year-old high school student should know better. - First, the Treaty of 1783 was not a multinational accord. It was a bilateral agreement between the United States and Great Britain. - Second, the Treaty was a recognition of the facts on the ground, which were that, after their defeat at Yorktown, the British had no chance of reclaiming their American colonies. - Third, there was no "international community" in 1783, at least not in any sense that corresponds to what Chaplin suggests. While the Declaration of Independence is solicitous of world opinion, no extra-national entity existed to make such determinations. - Fourth, insofar as the international community did exist, it was on the side of the United States. France, Spain, and the Netherlands were all lined up against Great Britain in the Revolution. - Fifth, the Declaration of Independence explicitly lays out the moral logic of the Revolution, relying heavily on early liberal political philosophy, which set out the guidelines for legitimate revolution. It then was at pains to explain why those conditions were met. - Sixth, Chaplin's logic leads to ridiculous propositions. Did the "international community" sanction the Glorious Revolution of 1688? Of course not. But, per Chaplin's logic, Queen Elizabeth II is not the legitimate monarch of Great Britain, but instead it should be Franz, Duke of Bavaria, who is currently the senior member of the House of Stuart.